Native Brightworks has an outstanding reputation for very fine workmanship, attention to detail, customer service, and timely production. Since 1983, we have been dedicated to the application and maintenance of traditional oil-based paints and varnishes. Keeping up with changes in products that may improve the beauty and longevity of our brushed finishes is vital to our success. We specialize in creating customized plans for each customer and will help you develop a budget and plan to accomplish your long-term goals. The crew at Native Brightworks is well trained in all aspects of the trade. 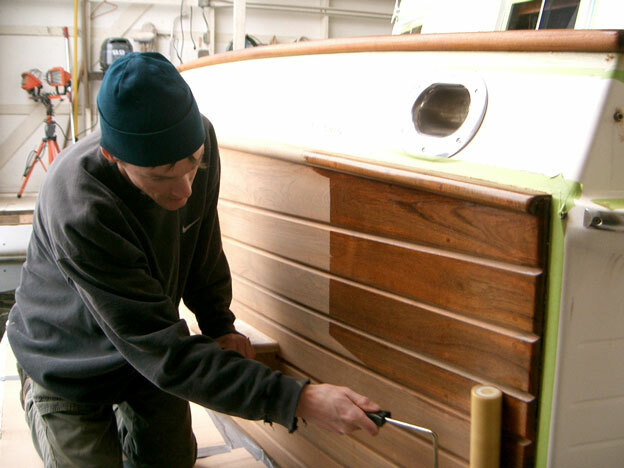 They have a long history with the company as well as many of the boats we service. They are dedicated to our success and take pride in each job that leaves our shop.